There have been people living and working the land in and around Pentwyn Farm for a very long time. We've found many artefacts from flint arrowheads to Roman coins during our time here. The Williams family took over and worked the farm 4 generations ago. Over the years the farm has seen many changes but in 1970 Bryan decided to start growing and selling bedding plants as well as running the dairy farm. The picture below shows the site in 1970 with the first glasshouse by the roadside. 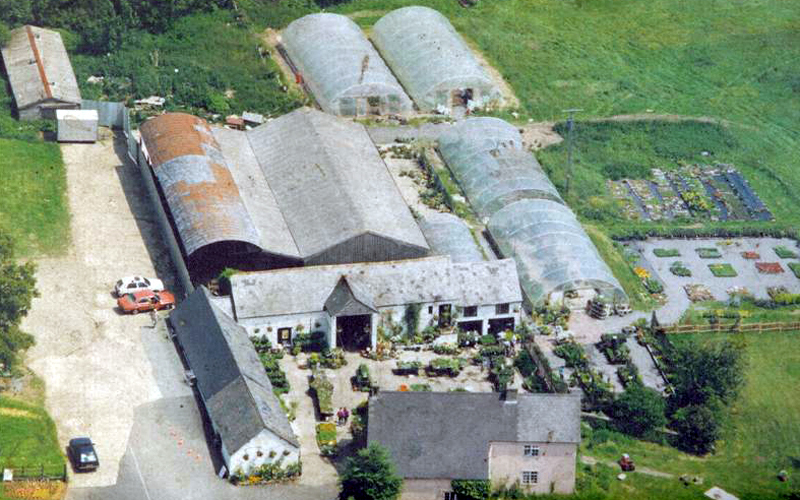 By the 1990's the Garden Centre had flourished and expanded as can be seen in the photo below taken in 1995. 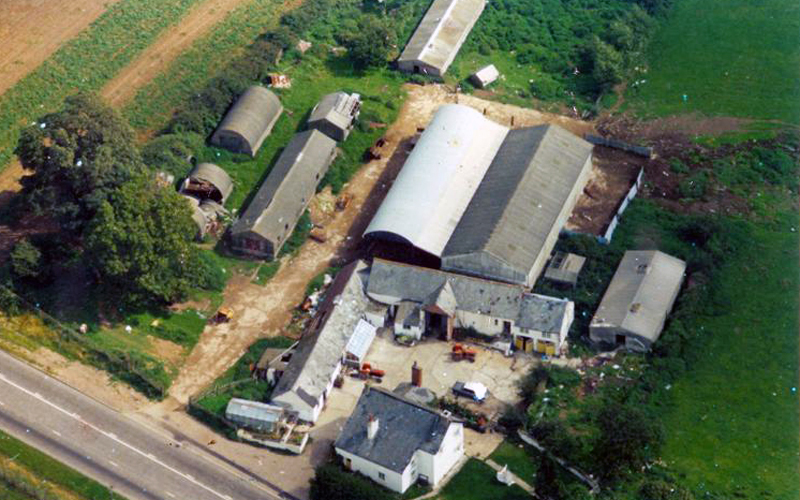 As you can see the main farm buildings are still recognisable with the addition of the polytunnels used for propagating and the hanging baskets, part of our business which we are still known for today. By this time we had established a reputation as a source of interesting and unusual plants which continues today.